can anyone confirm this or know what could be the issue? could changing the f18a jumpers offer a fix? 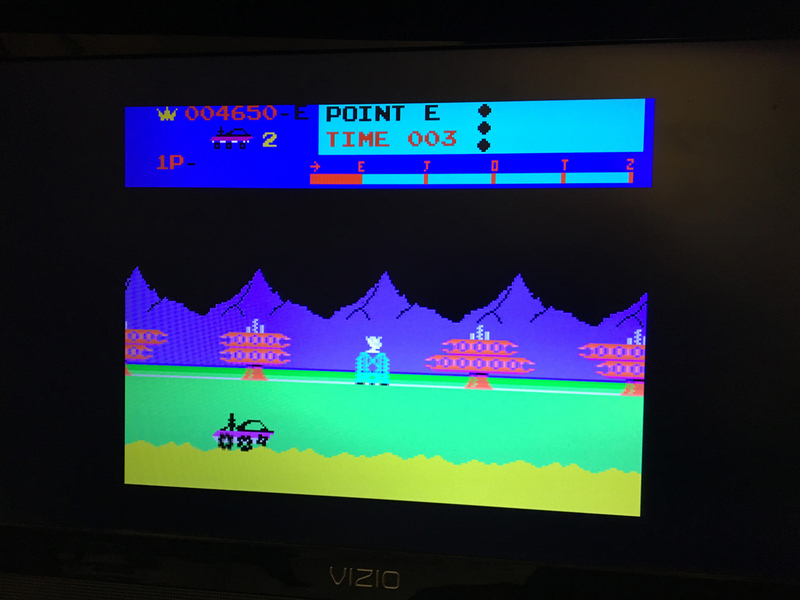 All three games worked just fine for me on my F18A system. I tested the actual carts for each game. 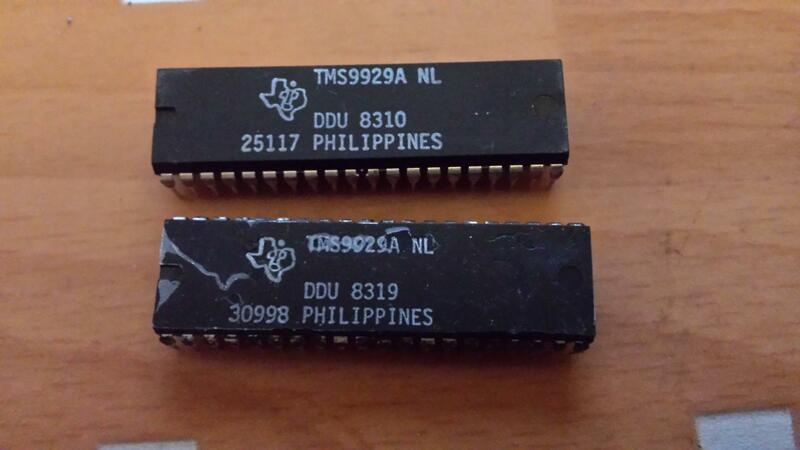 AFAIK the NTSC and PAL ColecoVisions are the same other than the 9928 vs 9929 VDP and associated video output circuitry. 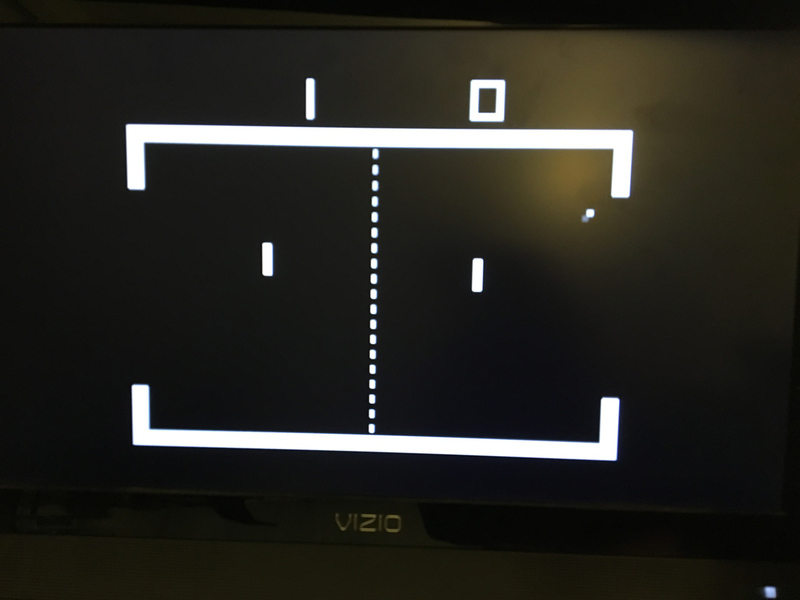 Does anyone know if there any other differences between the NTSC and PAL CVs? Changing the F18A jumpers probably won't change things, other than making your system not work in some cases. -- USR3 CPUCLK pin. Provides support for the 9128/9129 that output CPUCLK on pin37. -- USR3 and USR4 - CPUCLK pin and CPUCLK Enable. You really don't want to take USR3 or USR4 off unless you know for sure that your system needs the CPUCLK output on pin-37 or pin-38. I'm not sure what could be causing the problem. It would be nice to know if any other PAL CVs have the same problems. I don't have access to my own CV right now, but during testing I did discover that one of my controller ports was bad and was only exposed when trying certain games. It took me a long time to discover that problem, after much frustration. 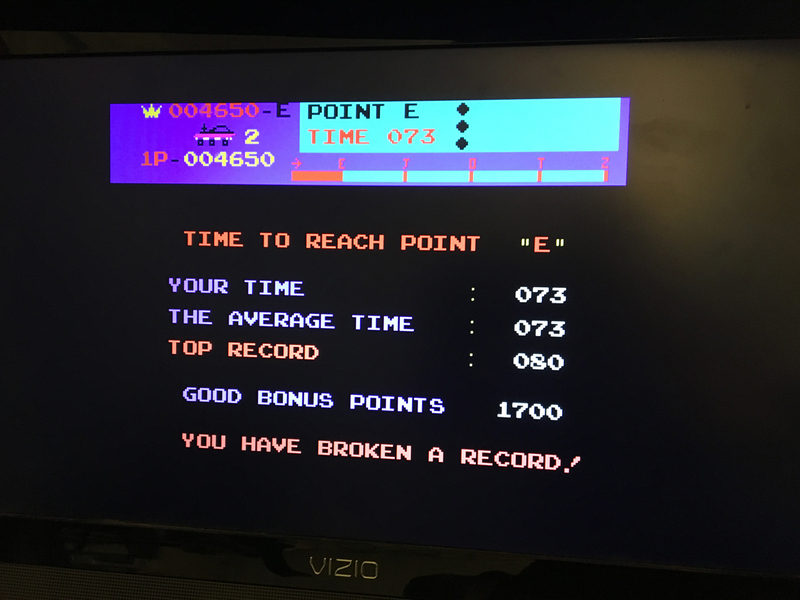 However, TPR has verified the games do work with an F18A so it appears to be something else. Do you have access to another CV that you can try? I'm assuming you had to remove the original VDP and install a socket, so you might also verify the solder joints. 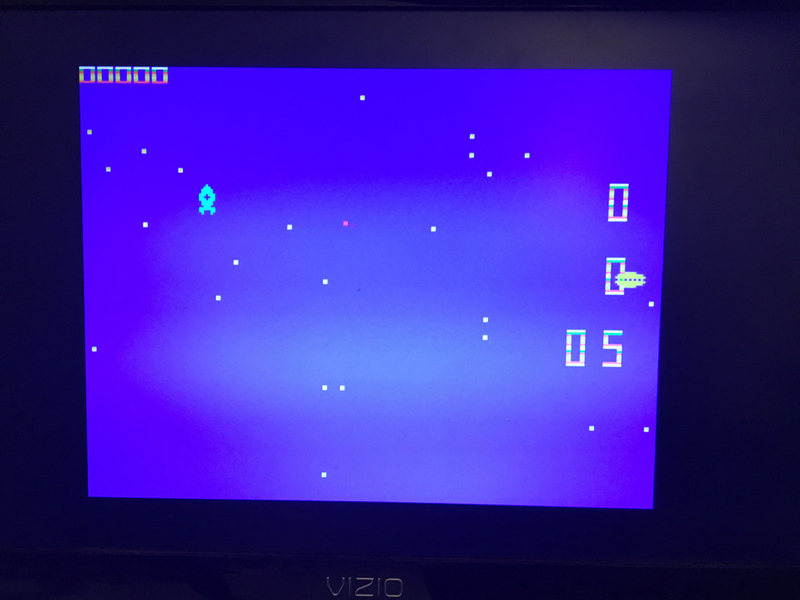 I've been using my F18a on my NTSC console for 2-3 years and only had one bug with it. It was with Battle of Hoth game. F18a sometimes made ATAT head look funny. Besides that all other games have worked great. wouldn't the timing crystal be different for the NTSC machines due to increased refresh rate? 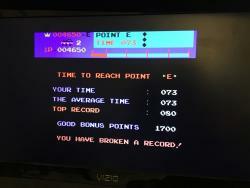 As far as I know every Colecovision runs at 3.579545 mhz, only changes the frame rate on the VDP side. I think that probably your RAM chips are bad, or your Z80, it can happen over time that small electrostatic discharges damage chips or simply the internal oxydization is very advanced. French RGB Board are SECAM. I don't think it makes a difference for F18a. But just in case. 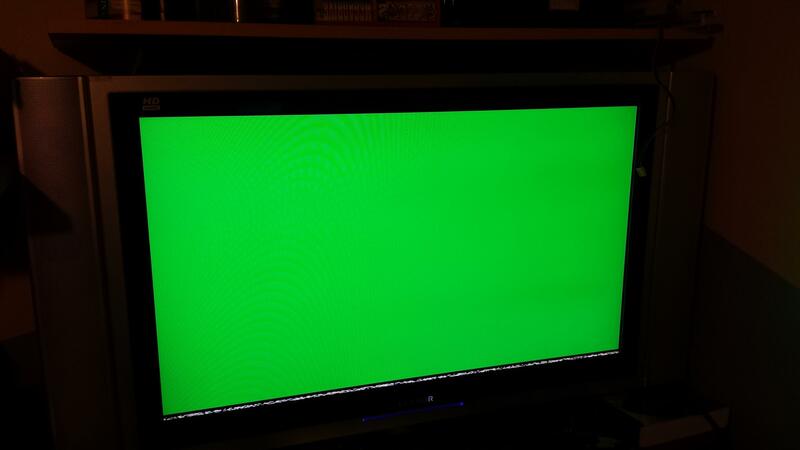 doesn't the French RGB machine output normal RGB and not region specific SECAM? that's what I understood, using the f18a on it bypasses all that lot any way does it not as its a video circuit replacement ? 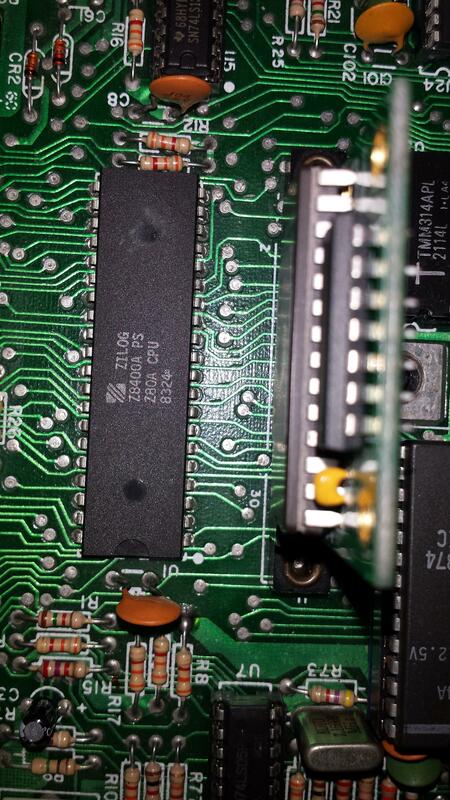 The F18A does not use the XTAL inputs on pins 39 and 40, it has its own on-board oscillator so any video circuit differences between the various consoles would not matter. Just so I'm clear, other games do work in this system, yes? 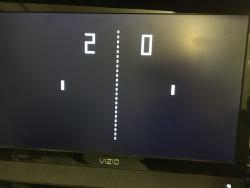 The problem is only with the Pong and Moon Patrol games? Also, the CV does have a fast power-on reset and these games might be trying to hit the F18A before it is configured. 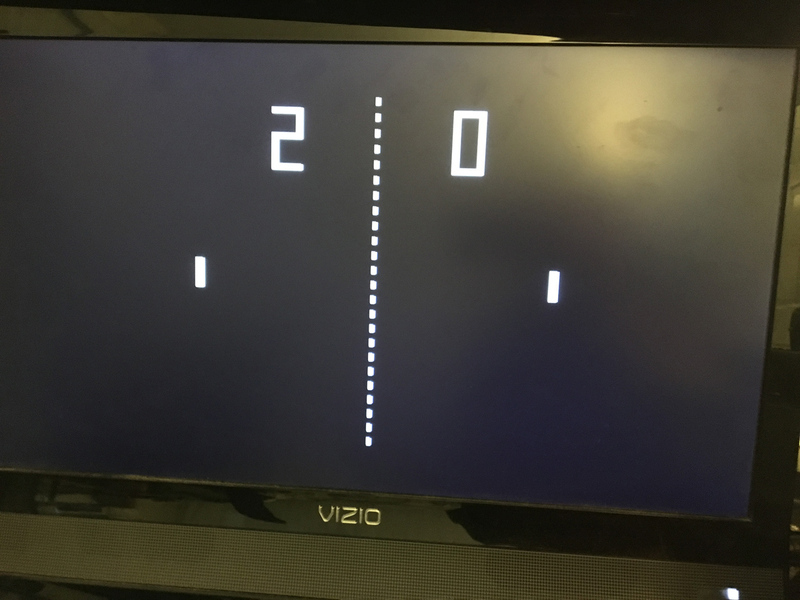 Have you tried powering on the games then hitting the reset button? Luckily the CV's reset is a real hardware reset and the F18A is already powered-up and configured, so that usually fixes any startup problems. Alternatively you can install a larger capacitor in the RC time constant circuit to slow the CV to about 150ms or so and see if that helps. i tried strip poker last night and that failed to work also. i also tried bending out the pins of the f18a bard slightly so they pushed on the socket a bit harder as i thought there was possibly bad contact on one pin, this did not do anything however. This seems very strange for sure. Do you have an MSX1, 99/4A, or some other 9918A/9928/29 based computer that you can use to verify your F18A? Also, do you have a photo of the exact CPU and VDP of the troubled system that you could post? I'm wondering if your CV is using some different variation or version of either IC. 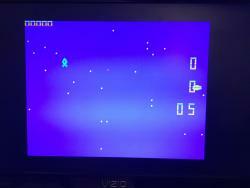 When I was prototyping the F18A, interfacing the Z80's interrupt input gave me some problems. The solution ended up being rather simple (a 100-ohm resistor to impedance-match the signal), but I'm wondering if there are other Z80 variations out there that exhibit different characteristics. My copy of Strip Poker worked just fine. Sounds like it's got to be some issue with your system and not the F18A. 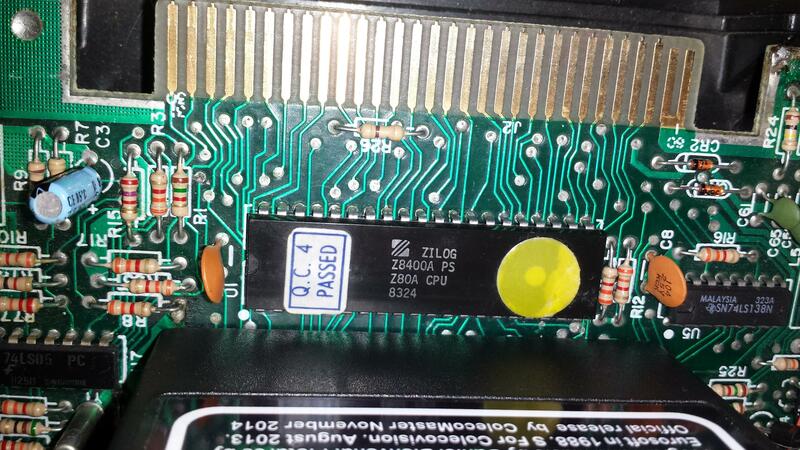 the second cpu image with a bare cartridge board (in this case boulder dash DIY cart) is the French RGB machine. all the vdp's work in both consoles and allow all the games to work. 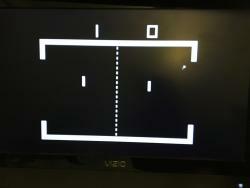 PONG uses screen mode 2 text (3 char tables, 1 color table setting). 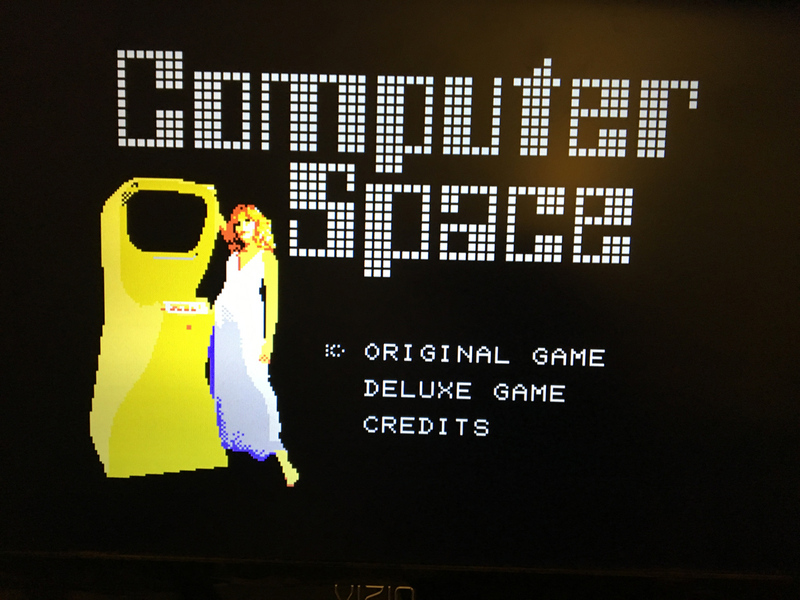 Strip poker is using screen mode 2 bitmap. 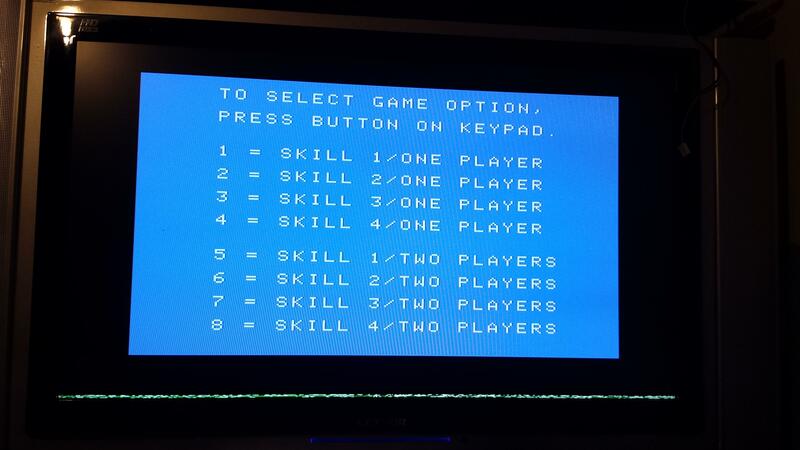 I'm not 100% sure if Donkey Kong uses the default screen mode 0, seems like it works with screen mode 0. 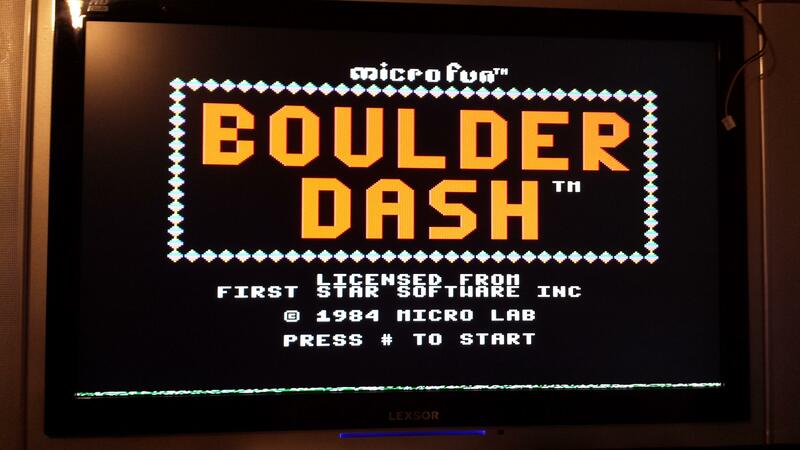 Boulder Dash seems to be screen mode 0. 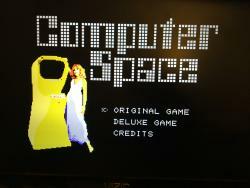 It seems that the chip having trouble setting the registers to graphic mode 2 get the game to display correctly. 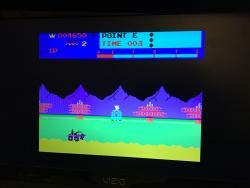 Is this on the colecovision board or the f18a? i could possibly change whatever chip does this and see what happens?? Graphics mode 2 has been heavily tested on the F18A using a lot of different masking modes, I don't think that's the issue. Combined with the fact that all the titles work for TPR it seems more like a local issue. Or at least we need a tie-breaker.